[Updating] Unofficial sources are indicating that there may be changes being considered within the Progressive Labour Party, with suggestions that MP Glenn Blakeney may be planning to retire from politics, as well as some members of the party desiring a change of leadership. Multiple sources suggest that Mr Blakeney may have informed the party of his plans to retire, and may plan to step down next month, and if so, this will prompt a bye-election in Constituency 13 Devonshire North Central. 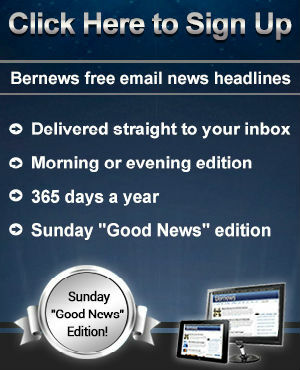 The last bye-election in Bermuda was held in November 2014, which followed after the resignation of Terry Lister in September 2014, resulting in the bye-election in Constituency 33 Sandys South, which saw the PLP’s Jamahl Simmons defeat the OBA’s Georgia Marshall. His bio on the PLP’s website says, “Glenn Algernon Blakeney is the sitting Member of Parliament for Constituency 13, Devonshire North Central. He is committed to working hard in service to his constituency and for the common good of Bermuda and its people. “A community leader and entrepreneur, he is the Founder and President of Inter-Island Communications, Ltd., the parent company of Bermuda’s two most popular radio stations, HOTT 107.5 FM and MAGIC 102.7 FM. “In 2010 he founded ‘Bermuda Soul Record Company, Ltd.’, which is devoted to launching the professional recording careers of Bermudian musical talent. However multiple sources told Bernews that there is, in fact, a segment of the Party which desires a change in leadership, with some members of the Party said to be attempting to push forward a leadership change. Unofficial sources indicate the division is reputed to be in the area of 50/50, with around half of the MPs suggesting a change in leadership may be a positive direction to take for the future. The Party is due to hold a meeting this evening, and sources suggest these matters may be discussed at that time. Update 12.11pm: Subsequent unofficial information suggests that the Party may be seeing another resignation, not someone resigning from the Party itself, but someone resigning their position within the Shadow Cabinet. Unofficial sources suggest at least one person has, with indications that others may be considering/taking the same action. 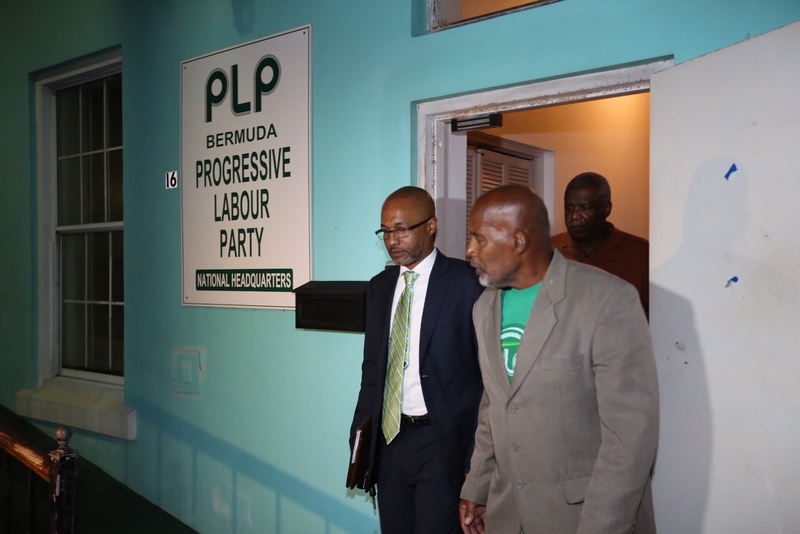 Update 5.56pm: People are entering PLP Headquarters on Court Street now, with indications that the meeting will be getting underway soon. We have seen various MPs and party members enter. 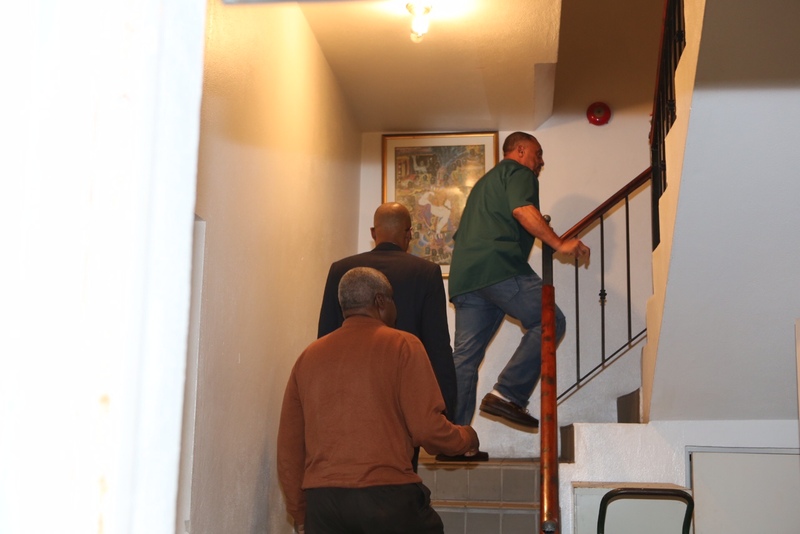 Update 6.44pm: A small group, which included MP Zane DeSilva, were just seen leaving PLP Headquarters. Update 8.29pm: We are waiting outside, and sporadic clapping can be heard sometimes. A few people have left, while some more have entered. None of the arrivals/departures appeared to include any MPs or Senators, and the meeting still appears to be underway. Update 9.15pm: The meeting just concluded and the PLP gave a very short statement afterwards, saying the “several issues have been raised” and “talks of the caucus will be ongoing”. 9.29pm: We are still waiting outside on the chance that maybe someone else will give a statement, as it stands now the only official statement we have is posted above. We will also seek unofficial information. Update 9.40pm: Marc Bean just left – he had no comment. Update 9.54pm: Seems most people have left PLP HQ at this stage, and things have quietened down. So who will the bookies be backing as the next leader? I’d take a bet on Kim Wilson: intellectual, very articulate, well respected and a IMO a moderate who would pull both sides of the party together. Her deputy? I’d take a punt on Walton Brown: it would be a good 1/2 for the party. I don’t think the Bean/Burt axis has done a lot for the PLP. But she just endorsed spending huge sums of money on nothing but water (homeopathy). She’s not a serious candidate either, none of them are. I don’t understand why Kim Wilson is still with the PLP at all. And someone like you never will. Excuse me, you don’t know me at all. Maybe you know Kim Swan, though I doubt it, & perhaps you can enlighten us on why she has remained with the PLP? The only thing I can think of is that she adds sanity to an otherwise disfunctional organisation. One thing you can say about Kim Swan is that he is committed, for staying aboard a sinking ship. Now that ship is sailing under a new name. You don’t even remember who you were talking about. Switching from Wilson to Swan! Wonder if that onion juice has any Bean tea in it? lol If you think that would attract white voters you are seriously confused. People don’t just vote for parties which have leaders with the same colour skin! @ jeremy deacon, you sound like a joker, and you know what they say, if it sounds like a duck, then it is a duck, I for one don’t think it is time for Mr. Blakeneys retirement. I think it is time for his leadership to take over as the leader of the P.L.P, He still has a lot to offer his party and this country as a whole, and I am sure I am not alone in this thought. So for all the nice folk out there and the joker’s like Jeremy deacon, get over it, because I think the best is yet to come and yes i believe that Marc Bean has served his time and it is time to see the P.L.P back in Power. So with all the recent info brought to light about the previous government you believe they should be back in power. Why exactly? Funny thing is its clear that there has been positive change since the OBA took over and they’ve only been there for 3 years yet you have the audacity to call people jokers. The PLP lost the last election so get over it already! As long as Marc Bean is the PLP leader they will likely lose the next & any future elections. Please carry on Mr. Bean. In the long run the PLP will either realize that they need move away from their current course with ‘loose cannon Bean’ or remain unelectable. Duane mate you are totally out of the picture. Glen Blakeney is definitely stepping down. I think the Burt campaign maybe coming to an end, at least we hope. The arrogance is grating on the nerves of many. Frankly I think Kim Wilson has gone a bit potty with all this talk of Homeopathy and ‘GMO damaged’ people. Walton’s number one strategy is an independant Bermuda. But I guess if that’s what the people want then I am all for Bermuda getting independance. So it turns out it wasn’t ‘untrue’ and ‘malevolent’ after all. Can’t believe a thing they say. And as entertaining as that is how they harp continually about OBA secrecy and transparency, then Zane vets on the airwaves and says they won’t talk about their internal politics… and they expect us to believe they would be transparent. So, as a bastion of the PLP, you are saying the PLP are dishonest and are OK with that. SMH. So you expect the PLP to lie to us. That’s what we all have come to expect, actually. This is not to say that I condone dishonesty or will go to lengths to promote it, but I am not in fairytale either.. Whats your definition of being dishonest?? Is putting a completely raw person as party leader to win an election not a form of dishonesty??? Is having a election campaign before an election that doesnt reflect the mandate of the government after winning the election not a form of dishonesty?? just saying. They say Perception is reality, therefore, is it not dishonest to shape perception to suit one’s agenda??????????????????? Who are you and what are you trying to cover up? …why have you replied to your own posts repeatidly here? lol id, ego and superego,, I guess I am talking to my ideal self..
You can twist it any way you want. Last week the PLP said the story about Bean facing a leadership challenge was ‘untrue’ and ‘malevolent’. Here we are, 5 days later, and we know they were lying. Or, perhaps they were ‘misleading’ us. We know how much they like that word. Its called being media say?? Do you think any organization is going to come out and say, yes, we are having internal issues and its getting pretty serious.. I mean come on, the media would have had a field day,. Am I wrong in assuming that?? Is that unrealistic to think that the media would turn that?? Let’s be honest.. I follow the English Premier league, I have seen the media make headlines saying that a particular club is considering changing their manager. The club will release a statement saying that the club are fully behind the current manager. A few days later a new manager is hired. Where the club being dishonest? yes certainly, but if they had been honest, that could have possibly compromised their endeavors to get the new manager.. Again, I am not saying that I condone any organization taking this course of action, but I understand why they would consider it..
What the PLP calls “being media savvy” is called lying by the rest of us. They lied. Get over it. Weren’t you going on about deceit earlier? @Serengeti,PLP rumors always end up being somewhat true..
Bad move PLP if you are suggesting a leadership change. The majority of young people that support the PLP are happy with Marcs leadership and I am one of them! I refuse to vote,as i have done in the past,based on Party but the person that best represents me….That starts at the Leadership role. I f you think about removing Marc you run the risk of losing many young votes and ultimately the next election.I promise you! Is it is rampant misogyny? Is it his belief that gays are upending civilization? Is it his uncontrolled emotional outbursts which in most civilized countries does not equate to effective leadership? Is it his pie in the sky ideas that make absolutely no sense and would never come to fruition? What is his appeal? It is a shame if you are a young person, as I have been told the younger generation is more tolerant and accepting. Apparently you and yours are not. No doubt, I am surprised that any young person could find anything positive as his views are so ancient. Mental abuse of a fellow politician is unacceptable to me and should be to any young person that holds self worth. As a young person, I too fail to see the appeal in Marc Bean. I think what appeals to the young people is how direct and abrupt and bold he is.. Thats how the young generation are, they don’t sugar coat things or like their meat cut for them, they want someone who is going to talk direct, without all the political correctness that can come with the position, so i Think alot of young people can relate to that.. I like Marc as a person, and I think he is very intelligent, but I think he lets his emotion and passion get the better of him at times. I am not against a new leader if they can take the party forward. My two cents. So he has anger management and emotional issues you say. If it floats your boat to put words in my mouth, then so be it.. Enjoy the ride.. Thanks for confirming your agreement. Oh, so he is like Donald Trump then! Trump has never been one to hold back on his thoughts. The difference is Trump has been a hugely successful businessman. Bean…not so much. If you are not going to vote PLP because they dump Bean as leader, who are you going to vote for? Vote OBA? Never happen even if they set up a standing order to dump money into your bank account. Sit on the fence & not vote at all? That would be a wasted vote though it would send a message. There may be others close but there is nobody as off the wall as Bean in either party for you. Personally, I hope they keep him as leader. It’s very entertaining. He is absolutely perfect for the job. He’s the Donald Trump of Bermudian politics: Full of entertaining insults and crazy ideas. Trump leads the polls! Trump is not the leader of a Political party, and will never be President. And on another note, I might consider the PLP vote if he is removed from that position. Imho too volatile, which lends to emotional instability or thin skinned. Never a good equation when talking of a person running a country. marc bean is to dam radical to bring the party togather he is not the one they should have taken terry lister a more well rounded person and Walton is not the guy . I see kim Wilson as the new leader. Finally!weather they like it or not. Equal rights and Justice must prevail. we don’t have to sugar coat the bs anymore. …and only a few days ago the PLP spokesman was denying everything. This political party is so transparently dishonest that I wonder how they do it with a straight face. Yes, they are dishonest. Now, where is that jet gate report that the premier vowed to make public…..you know, the report which caused a big stir and led to the removal of a sitting premier. How dare the OBA have enough morals to change the leadership when such actions take place? Too bad the PLP and their supporters couldn’t muster enough morality to ensure that the ‘unethical but not illegal’ one was never put into power. Where are comments when the Auditor General releases damning report after damning report of your ‘dishonest party’ that shows rampant financial malfeasance that has resulted in the decimation of our public finances? You guys are so funny and totally hypocritical. You ramble on about Jetgate which did not involved taxpayers monies then are quitter than a church mouse when evidence arises that your Party oversaw the fall of Bermuda’s once pristine balance sheet. Read the TCD AG report, the Port Royal AG report, the BLDC AG report, the SIX consecutive qualified opinions on the consolidated fund along with the most recently issued report on the shoddy work on the Dockyard Pier that just happened to go $30mn over budget. Let’s talk about Faith Based tourism and the BHC police report. How about the so called ‘overruns’ on the court building, Berkeley and TCD? If you want to talk about Jetgate, lets also talk about the former PLP Premier’s private jet ride with an overseas marketing firm, Globalhue, that ended up receiving $10s of millions of taxpayers monies whiel also receiving a non-tendered contract despite overseeing a 35% decline in arrivals over the same period. Bingo. Crickets from the PLP elite talking heads. Bookmark posting from Double S above to serve as a reminder. Very well laid out. There were consequences with the OBA. Jetgate! Poor old Jetgate. A bit of a fuss over not much which cost the taxpayer absolutely nothing. A far cry from the PLP administration where we were entertained/shocked to learn of a new scandal almost every week. Here we are almost 3 years into the OBAs’ first administration & all the critics can regurgitate is Jetgate. The OBA is boring. For the most part they are quietly cleaning up the cesspool that the PLP left behind. amazing biased logic to the upmost.. but heh,, I believe in democracy so you have to right to your subjective deluded views.. So, I should change my views to mirror yours. Then I would be a wonderful clear thinking person, right??? I didnt say that, but if you dismiss all the wrongdoings on your side and brush them aside as being irrelevant and then highlight the wrongdoings of the other party, is that not a subjective view??? I dunno, that sounded pretty accurate to me. You may want to reconsider who is deluded. I too would like full details on the whole jetgate deal but if something that cost the taxpayer nothing is the best you have you may want to be a bit more patient. It’s still early. Putting the money aside (Taxpayer vs Party Funds),, do you or don’t you think that the entire handling of the affair by the premier and others involved as being deceptive at best?? If someone steals a quarter from my desk or a few thousand from my bank account, is it not still considered theft??? Does that not signal a character trait to some degree?? But yes, I too am deluded.. Nothing comes comes out of your paycheck, does it? If it does, that was our money you dunce! Millions in double payments and do you think any of those will be paid back as rightfully so? I won’t hold my breath because as long as I have been alive nothing to do with any sitting government has been held accountable. That should tell you everything. My job double pay me? You joking? They had to check accounts to see they hadn’t paid me in 3 weeks. They’re (on both sides) either willfully ignorant, incompetent, or fools. I’m sorry, how transparently honest has the OBA been about Jetgate? How many times did they deny that there was a move afoot to oust Cannonier? Let’s be real here. OBA is just as dishonest about their internal party wrangling. Nobody care about jetgate because at the end of the day, everyone knows that the OBA understands basic math and that is more than we could ever say about the PLP over the last ten years. So mismanagement of funds trumps taking bribes? In my opinion, they are both horrible attributes. Who, pray tell, took or offered a bribe? More misinformation that even the Supreme Court wouldn’t event consider. No court has charged any former PLP member for being corrupt, that doesn’t stop the attacks does it?? Yet. The AG just made her report. Mismanagement does not equate to being corrupt.. But yes, I also have great concerns about the Auditor’s Report. Whoa!! So because they are the only ones in this island that understand basic math as you suggest,, (which is on par with the craziest statement I have read today) that in turns gives them the right to overlook their dishonest past and focus on others,,?? Ok got it,, smdh,, Santa Claus please bring me some rationale in my community..
Too many lawyers in the PLP….Good at arguments, not great at running a country IMHO, and most certainly lacking when it comes to Financial management of a country. Basic math would have prevented this whole problem with debt. Bermuda had plenty of money coming IN to weather the economic crisis pretty darn well. But because more money was spent than the boatloads coming in well you know the rest of the story. So yes basic math in a must! LOL “Jetgate” involved NO public money at all and yet you PLP turnips keep harping on about it and ignore more concerning matters, such as the recent Auditor Report. Millions upon millions disappeared with no accountability or controls in place. The PLP should keep Bean.. They are completely unelectable with him at the helm. Please keep him. Wrong is wrong is wrong no matter how you slice it…. Interesting how the OBA’s “wrongs” are shouted from the rooftops, but PLP wrongs are ignored though….isn’t it? If wrong is wrong why has there been NO ramifications for the PLP as yet? The OBA leader stepped down. One ‘wrong’ resulted in resignation. The other ‘wrongs’ resulted in – nothing. Yet. Here we have another math issue. Its all emotion and no facts and numbers. The debt is a result of poor math plain and simple. Wow, who’s got the big mouth over at the PLP? Their dilemma is not if they need new wrapping paper, but when. The present is the same…re-gifting. Call it what you like. Just glad you recognize it. way too close to 2017 to show stress cracks in the concrete. Shudda took on Walton Brown, Butler, or even Lister when the opportunity was presented….I guess the dethroning of Dame Jennny was not a learning experience. Change can be good and it was not that long ago we had a different Premier! Bermudians tend to have short memories in politics and it also was not that long ago we had three political parties albeit for a very short time LOL! Beangate, PLPgate,, Blakeneygate, – let’s label it as a scandal just like every other situation. I will abstain from voting until Marc Bean is removed as leader. I will continue to vote PLP once he is out! A midday report suggests Blakney and Zane have or will resign. It must be getting hot. Beat me to typing that thought. I find it very interesting that some people are willing to overlook the wrong doing of people they support but then point out the wrong doing of others they don’t support. To date the public has no idea what the former Premier did to justify removing him from office and no idea what he did to deserve to be put back into Cabinet! He definitely did not leave his office voluntarily! How is that a double standard? Does Roban ring a bell? Seriously, at least be honest. Did I make a comment with respect to Roban?? Exactly! One difference, Roban was not a premier, otherwise exact same deal. I didn’t like it then and I don’t like it now. You either don’t think before hitting submit, you respond with emotion not logic, or you purposely meant to prove my point. Pick one. I haven’t seen any criticism of the PLP from you….you made no comments on the auditor report, for example. So I guess you find yourself very interesting. It’s called I know something in the OBA and if I don’t get my Minister job I’m going to sink the ship. Why else would they give him a seat again after removing him as Premier. If I recall correctly Craig repeatedly ‘misled’ the house over jetgate despite repeated questions and opportunities to set the record straight. Clearly he felt it wasn’t a big deal which is why he hung on for as long as he did. The political fallout from a perceived lack of transparency, possible alleged back door deals etc… meant that he had lost the support of the party and the general public. As such he had no choice but to step down or the Government would probably have fallen. Simple really. Conspiracies theories are fine but this is pretty clear. In all honesty on both sides of the floor I can’t count on one hand five good politicians.The U.S. Appear to have the same problem Dem or Rep look at those whom are fighting to represent the respective parties.A decade or two ago even in Bermuda these polotitions would not have even made the bench much less get elected. @ Are you kidding me? Wow .. Just wow . If only the supporters of the OBA/ UBP were as vocal over the disgraceful resignation of Craig Cannonier , maybe the country would at least know why the man was turfed out of the highest position in the land . Instead it’s most interesting to witness the frenzied atmosphere of speculation over the affairs of people who they could really care less about , until that is , they enter the arena of politics . You sound about as delusional as my now ex girlfriend. Also I’m sure the governor holds that position you speak of. Then again we all know you’re as clueless as you type. You only ever support what benefits you. I wonder what party you support, like this is a game, not life. It’s the PLP in a frenzy to purge out the old guys that are facing issues soon. The GREAT divide that exists between the African people and the whites of this island is glaring. Yes, indeed, two Bermudas. It is rapidly becoming no place to call home by the majority whose divine mother and father were the first upon the earth. However, the few from the frigid zone will be found wanting. That will be the beginning of their calamity (to every action there is a reaction–equal in kind and measurement). I SEE it coming! You PLP`ERS are worried Zanie will be leading you! And if you think he was being honest in saying he had no interest in the position, think again! Zane only stated that he did not want to be the leader of the PLP. He never said that he did not wish to be the leader of ‘an’ opposition, or even Premier. Is recent history about to repeat itself? Does the PLP have a secret report of it’s own? In reality Bright Star we may not see it until judgment, on that day every man will stand for his own transgressions unless you were talking about something else.